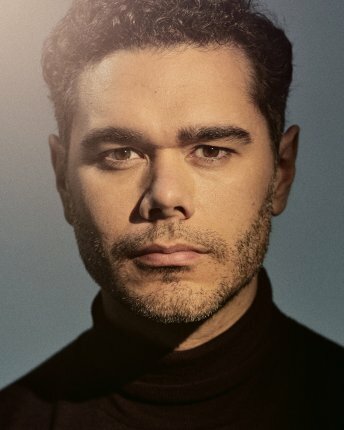 Canadian baritone Elliot Madore has been praised for his “movie star quality” (Merkur) and “exceptional” artistry (New York Times). In the season 2018-2019, Elliot Madore returns to the Dutch National Opera in the European premiere of John Adams’ Girls of the Golden West directed by Peter Sellars, a role he premiered at the San Francisco Opera last season. He also returns to the Zurich Opera in a new production of Sweeney Todd as Anthony Hope and debuts as Figaro in Il barbiere di Siviglia at Manitoba Opera. He sings Carmina Burana with the Kalamazoo Bach Festival, Kitchener-Waterloo Symphony, and Colorado Symphony having previously sung it with the Cleveland Orchestra. In his signature role of Pelléas in Pelléas et Melisande, he made his Bayerische Staatsoper debut in a new production at the Prinzregententehater. He has also sung Pelléas with the Croatian National Opera in Stéphane Braunschweig’s famous production, with Franz Welser-Möst and the Cleveland Orchestra in a fully-staged production by Yuval Sharon, at Opéra-Théâtre de Limoges, with the Bremen Kammerphilharmonie conducted by Mirga Gražinytė-Tyla and with the Sydney Symphony Orchestra under Charles Dutoit. Mr. Madore made his Metropolitan Opera mainstage debut as Lysander in their original baroque fantasy The Enchanted Island conducted by William Christie, as well as singing the Novice’s Friend in Billy Budd as a member of Lindemann Young Artist Development Program. Since then, he has appeared as Figaro in The Barber of Seville and Mercutio in the new production of Roméo et Juliette conducted by Gianandrea Noseda which was broadcast worldwide in HD.